Just like buying a car, leasing a car at the right time can maximize your savings. The best time to lease a car is usually when the car model has only recently been introduced. At that point, the residual value will be at its highest point, which means that you'll save the most money on depreciation. Residual value is based on the ALG's Residual Percentage Guide. ALG updates this guide every two months and the value gets lower as the model year wears on. For example, if you lease a car towards the end of its model year for 24 months, the car will basically be a three-year-old model at the end of the lease. That essentially forces you to pay for an extra year of depreciation. On the other hand, the further into the model year you go, the lower the negotiated price of the vehicle. So you have to weigh the pros and cons of the vehicle you're considering. If the vehicle you have your heart set on is particularly popular, you're going to find prices significantly higher than MSRP due to the demand. If that's the case, then it's best to wait a few months for demand to cool off. New models are generally introduced sometime between July and October, though some can be a bit earlier or later. If you lease within a few months of release, you can usually get the best deal. The only situation where timing doesn't matter is when the automaker offers special lease deals. These deals may include a number of perks like inflated residual values, low money factors and lower capitalized costs. How Is Residual Value Calculated? One of the most important factors in the price of your lease is the residual value. In the simplest terms, residual value is the estimated value of the vehicle at the conclusion of the lease. It would also be the price you would buy the car from the company if you decided to purchase instead of turning it in. Even though this value is represented as a dollar figure, it's a percentage of the MSRP of a vehicle. For example, if the vehicle you're leasing has an MSRP of $30,000 and its residual value is half after a 36-month lease, the car will be calculated to have a $15,000 residual value at the end of the lease. As previously mentioned, leasing companies use ALG to estimate and track depreciation and residual values. ALG predicts wholesale values after two, three, four and five years. 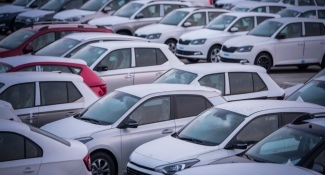 Wholesale value indicates the likely price of a vehicle sold at auction. Auctions are how many leasing companies get rid of off-lease vehicles. It's a good idea to remember that wholesale value is less than retail value. 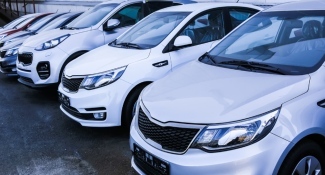 Leasing companies generally quote higher residual values due to manufacturer subsidies, which raise the values to lower payments. The more specific you get in your desired lease, the more you're going to pay. Very specific color combinations, option packages and hot sellers are all going to cost you money in the long run. Look at vehicles that are selling at a slower pace and be flexible on what options you want to get the best deal. Sometimes the release of a new generation of a vehicle can give you a good deal on the outgoing model as the dealership might be desperate to move it. One tip on accessories: they typically don't recoup their value, so you will essentially be paying for equipment that you'll only be renting, and it's the second owner who will benefit most. One of the more interesting things about leasing is that more expensive cars can end up costing less than economy cars. The loss in car value, as previously explained, makes up a huge portion of your lease payment. For example, if cars didn't lose value, the payment on a $20,000 lease would only cost you around $100 per month. However, cars do lose value and some lose quite a bit more than others. Your payment is based on how much the vehicle will sell for at the end of your lease. Because of this, a Lexus, known for its high resale value, could easily end up being a lower value than a Fiat. In fact, the resale value (in percentages) is almost twice as much for the Lexus. This factors into your payment and it means you can drive a significantly more luxurious vehicle for less. When is not the best time to lease a car? Usually when everyone else is out leasing or buying. It's a good idea to remember that dealerships always have quotas. They need to meet these quotas to stay in business. As long as they're meeting or exceeding quotas, they will be less inclined to make deals. You can do your own diligence by keeping an eye on the market and checking sales reports. Most dealerships post inventory online, so you can keep an eye on what's moving and what isn't. A good idea is to wait until the dealership you're watching gets desperate to move certain inventory. Make a few calls and a few offers as long as they're realistic. If your dealership is struggling to move the vehicles you're eyeing, they'll be more likely to meet your offer. 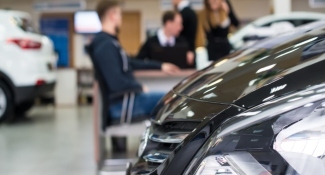 As with buying new cars, dealerships need to meet quotas at the ends of months and quarters, so these are the best times to check on their inventory. The end of the year might be another opportunity, especially if your new model came out in October, which means it's only a few months old by December or January.